Splitting hands is like playing two separate games at the same time. Unlike two separate games however, you play against the dealer only once (meaning that the dealer will have only one set of cards). If the dealer busts, then you win both hands; and if the dealer 21, you lose both hands (unless there you also get a 21). Players should treat each hand individually, and base their strategies like they were indeed playing two separate games. The cards from one hand can never interfere with the cards from the other, and via versa. *Note that not all variations of the game will allow splitting; some completely, others just partially. Doubling your hand also means doubling your bet; place an equal amount of chips next your original wager if you want to split. Here are the answers of some commonly asked questions regarding splitting and splitting basics. Splitting is allowed only if both the player’s cards are of equal value. A pair of Aces can be split, and so can a pair of 2s. Remember that 10s, Jacks, Kings and Queen all have 10 as their value, thus they can be split as well. You can split a 10 and a Jack, but you cannot split a 9 and a 10. Some casinos will allow re-splitting after the initial split (usually 3 splits per game is the maximum number of splits allowed). Some casinos will forbid re-splitting after the initial split has been made. Also, there is a difference between splitting pairs, splitting 10 Cards and splitting Aces. Some casinos will allow you to split as much as you wish, as long as you are not splitting Aces. Most mathematicians would agree that splitting Aces more than once will significantly hurt the house edge (or enough to make them implement this rule). Other games will allow you to split only once, regardless if you are splitting Aces or not. Splitting gives you one more chance at beating the dealer. It gives you the opportunity to try a few different strategies (when re-splitting is allowed) against a single hand (the dealer’s). This way, even if you bust your first hand, you still have a fighting chance to beat the dealer and get your bet back. Splitting hands gives a whole new dimension to the game of Blackjack; whether it would be prove beneficial or not. You should always split if you have a pair of Aces or a pair of 8s. This is not a matter of opinion, or empirical evidence; just simple mathematics. Two Aces are completely useless by themselves (11+1=12), and so are two 8s (8+8=16). Splitting is also mandatory for 2s, 3s and 7s, but only if the dealer has 2 through 8 showing as his face-up card. Never split 4s, 5s or 10s, no matter what the dealer’s face-up card is. Never split 9s if the dealer has an Ace, 7, or a 10 value card showing. Never split 6s if the dealer has an Ace, or 7+. In these situations, it is much better to take just a hit instead. What Comes After a Split? Once you have your hand divided into 2-4 separate hands, you can proceed as you normally would (hit, stand, double or split again). Some variation of Blackjack won’t allow a hit after a split; while others limit this rule to double downs only. Hitting or doubling after splitting Aces is especially bad if you are playing a ‘low house edge’ game. Casinos like to limit splitting in order to raise the house edge. In Spanish 21 for example, a player can hit, re-split and double as much as he likes (3 re-splits maximum). Other variations, such as Single Deck Blackjack, would limit splitting to just one per game (with no double down after a split). 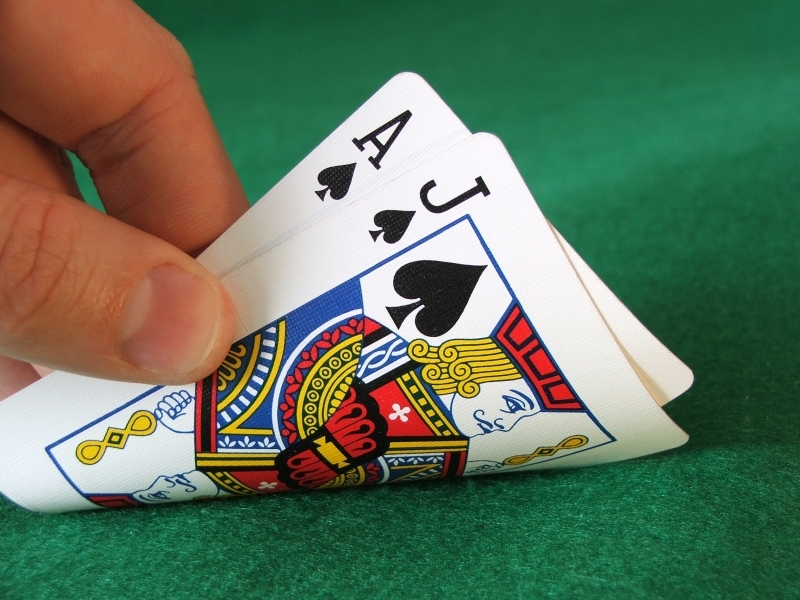 If a player scores a total of 21 after a split, this is not considered having a ‘blackjack’, just 21. The difference can be found in the payouts. A regular blackjack usually pays 3 to 2, where as 21 pays like any other winning hand – even money.